I didn’t even know that Canada Day existed until this time last year. One of the housemates I moved in with when I first came to London was Canadian, so we all trooped to Trafalgar Square for a party with Mounties and reindeer burgers and lots of fun. This year that housemate has gone back to Canada, and I didn’t go to the Trafalgar Square party, but I did want to do something to celebrate Canada Day because Canada is fricking wonderful. And what better way than to cook some Canadian cuisine? 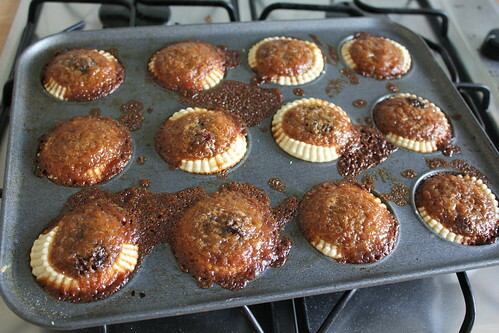 These are Butter Tarts. They are a traditional Canadian dessert, and there are a million different recipes out there. This is a combination of several, and it’s incredible. I will be celebrating Canada Day tonight by eating the rest of these until I’m sick, and jolly happy I will be about it, too. 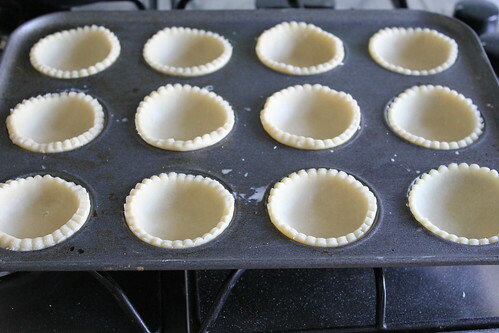 You need to cut rounds of shortcrust pastry and pop it into a muffin tin. 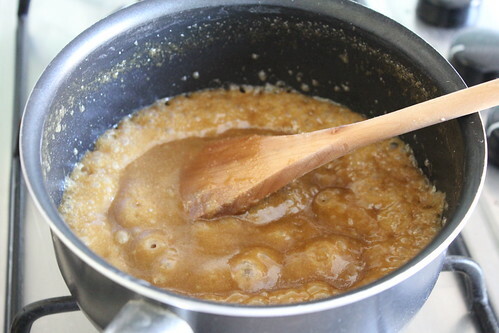 Then boil butter and brown sugar until it’s thick and bubbly. Whisk this into maple syrup, eggs and vanilla extract. 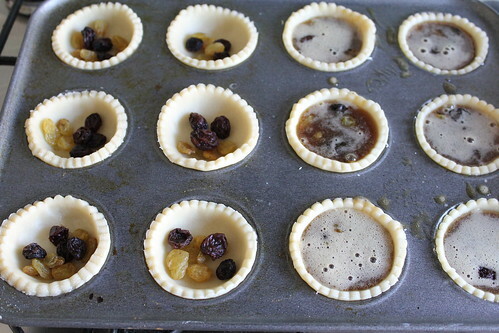 Pop some raisins in the tart cases and pour the syrup on top. Leave to cool, and enjoy. Looks sickly sweet, I’m in! These are amazing Amy! I’ve been so lazy on the cooking front lately. Never heard of butter tarts but these look and sound delish.